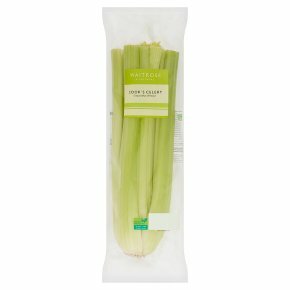 The strongest tasting celery varieties are carefully selected by our growers, making Cook's Celery the ultimate chef's ingredient. Combine with onion and carrot for the classic soffritto mix, the classic base for stews and soups. Alternatively, braise with peas, almonds and garlic for the perfect accompaniment to roast chicken.